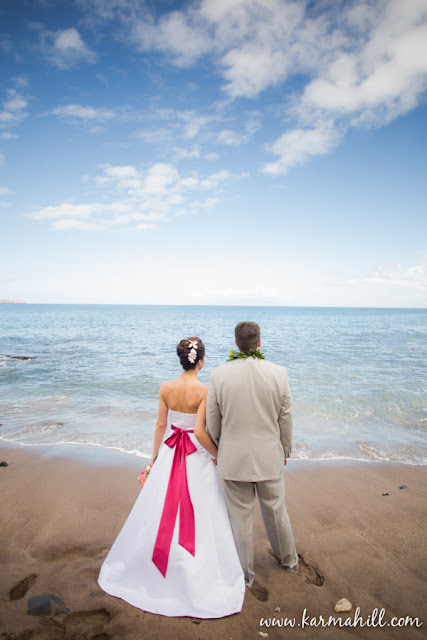 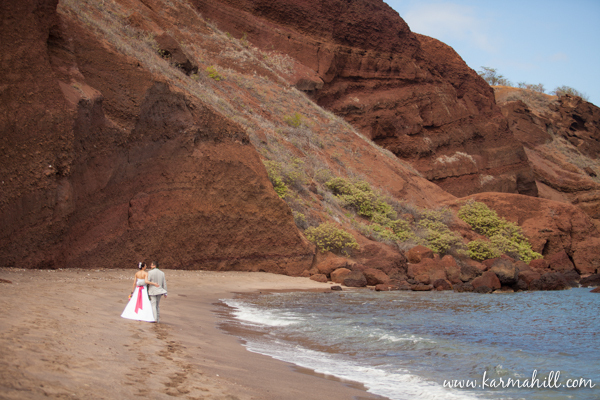 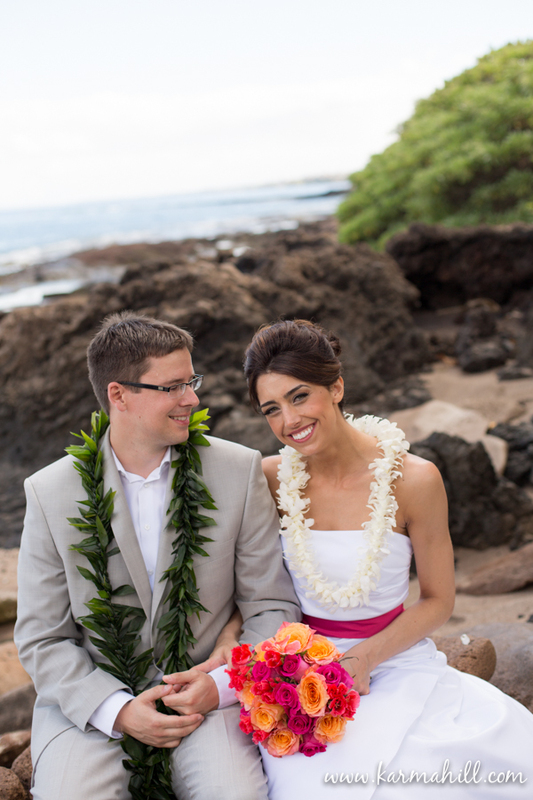 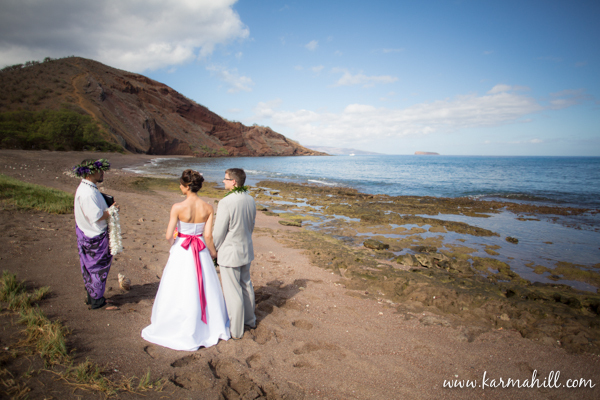 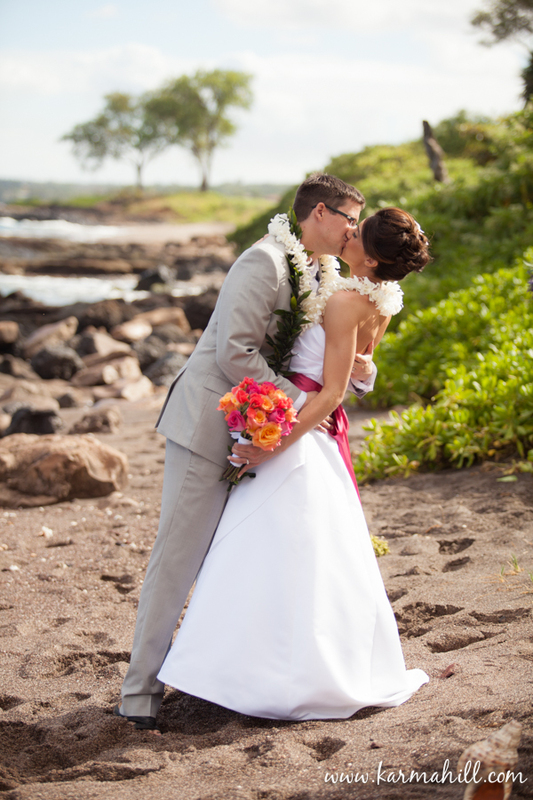 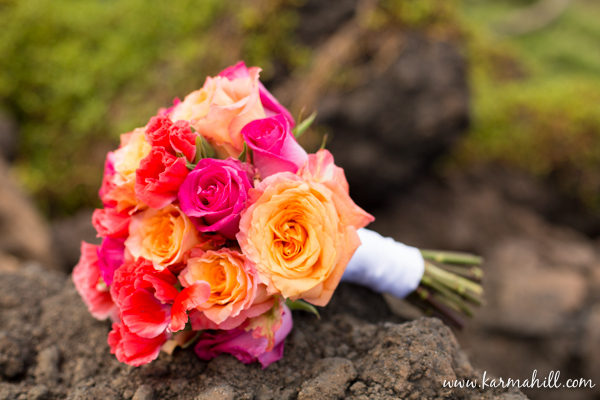 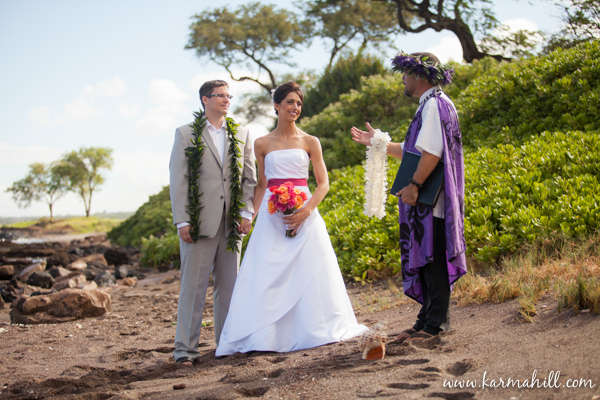 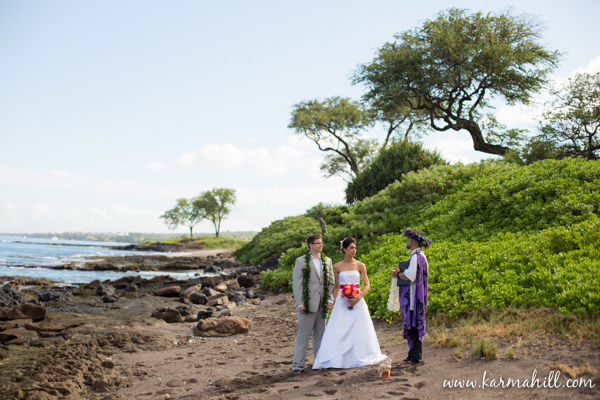 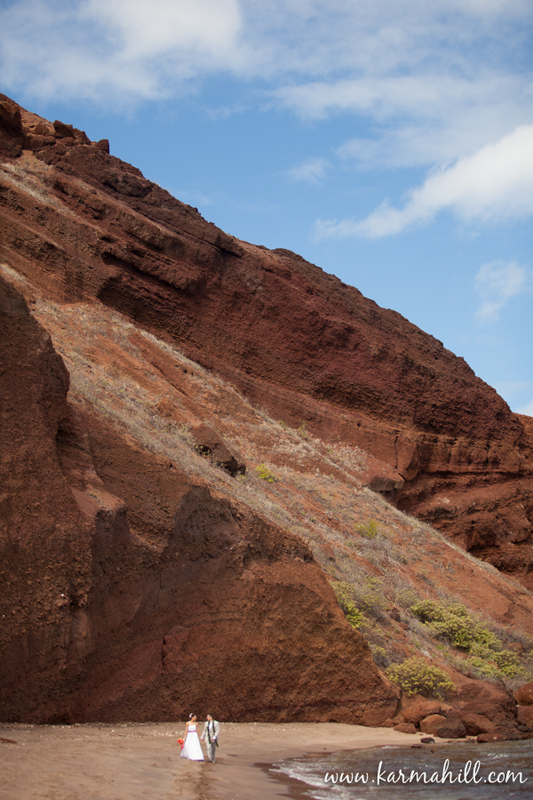 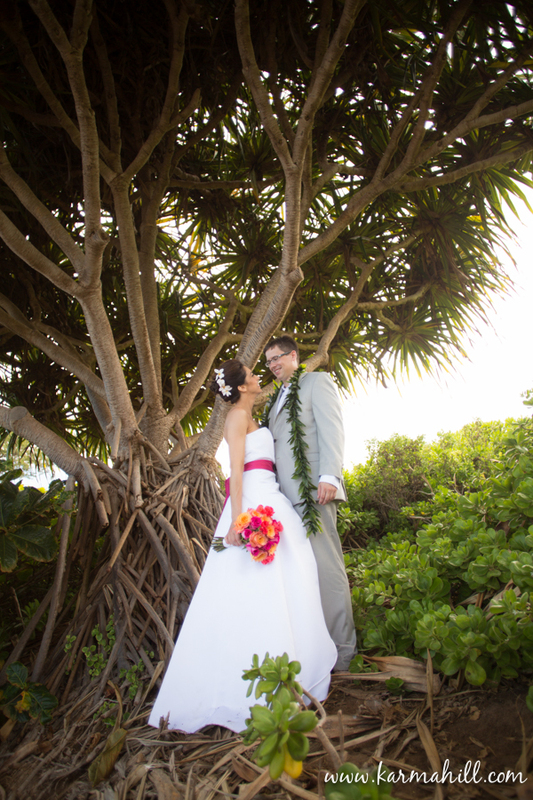 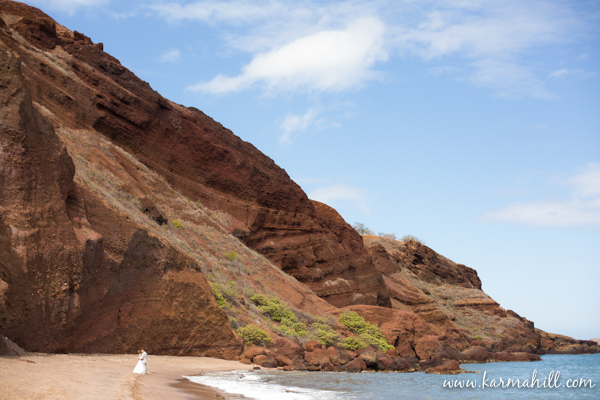 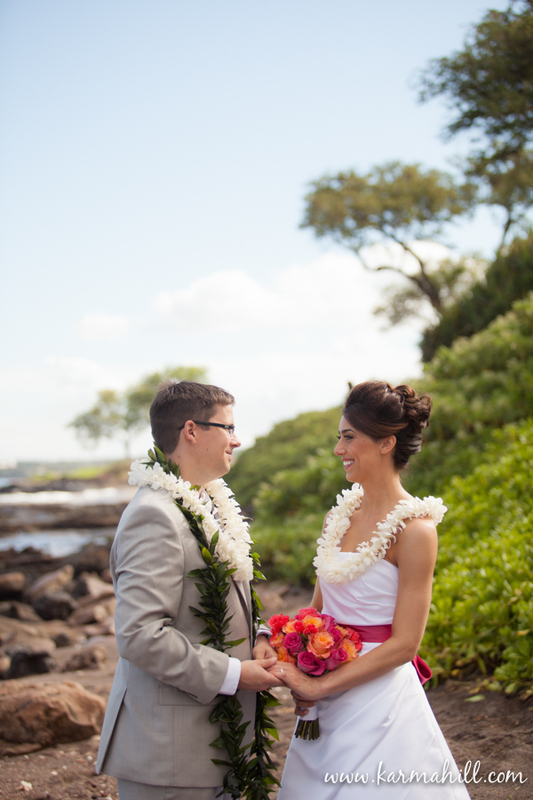 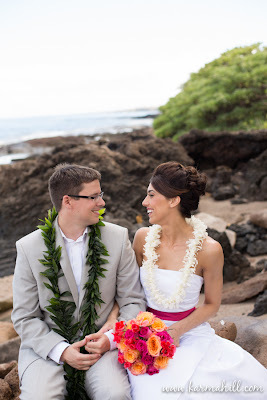 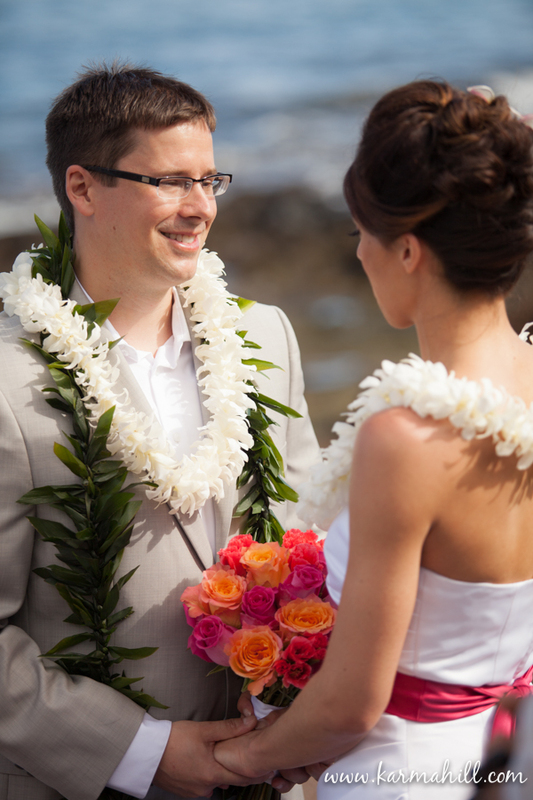 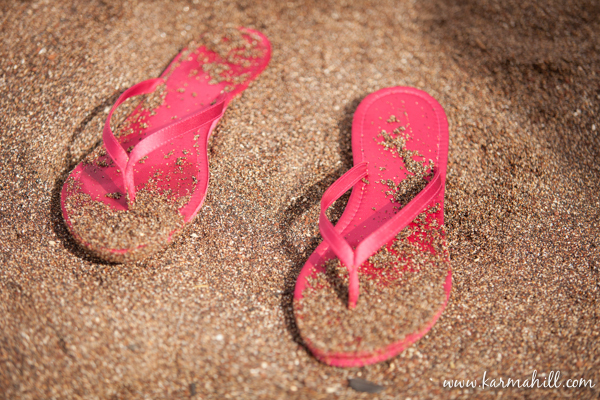 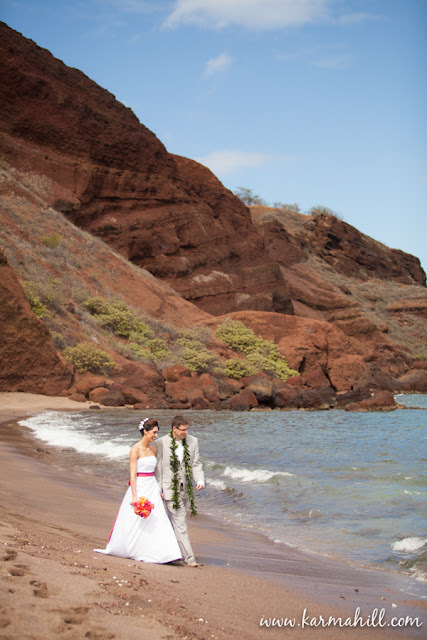 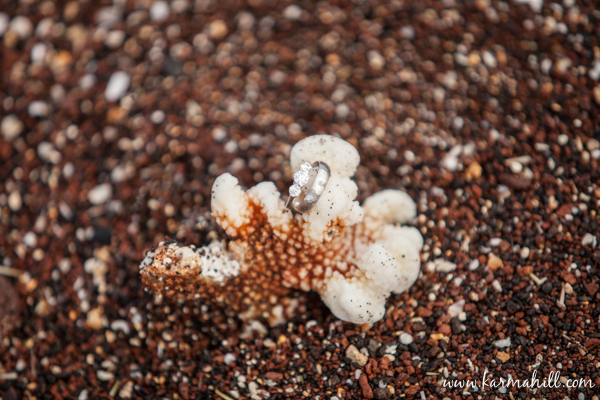 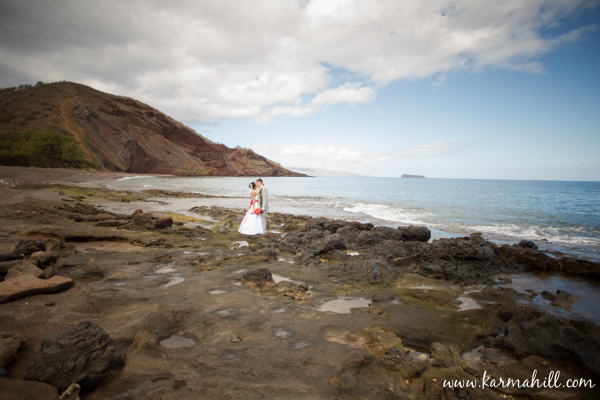 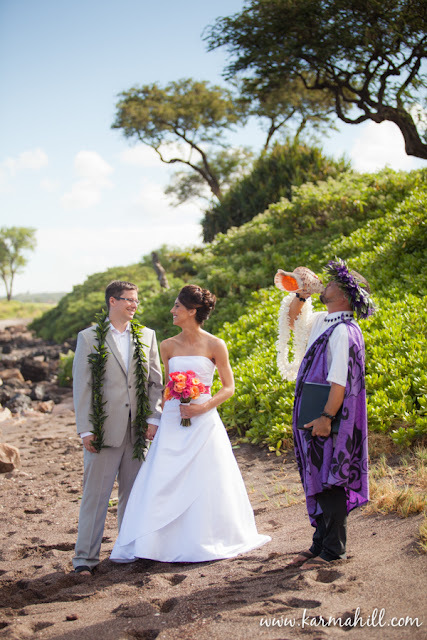 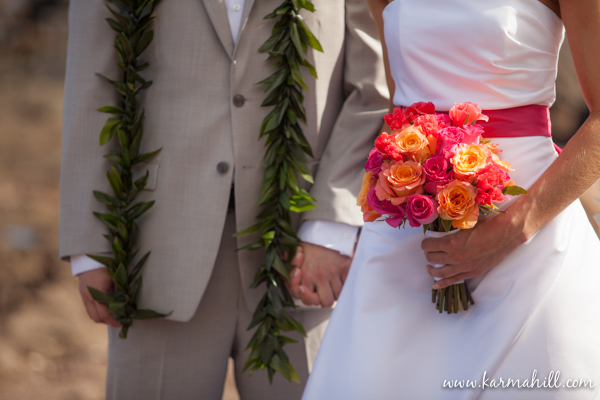 It was a perfect Maui morning for Catherine and Matt's Maui Elopement. 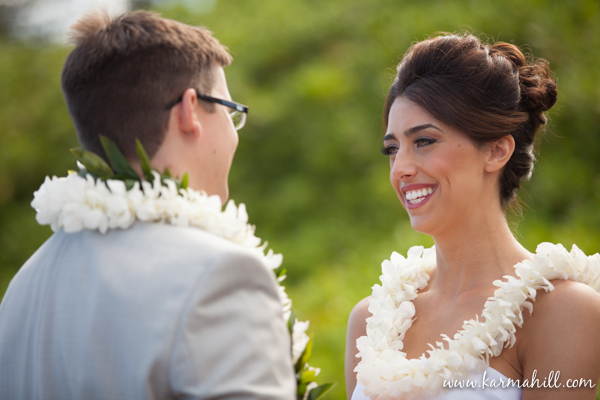 This adorable Michigan couple was bursting at the seams with joy, Catherine was literally jumping with excitement! 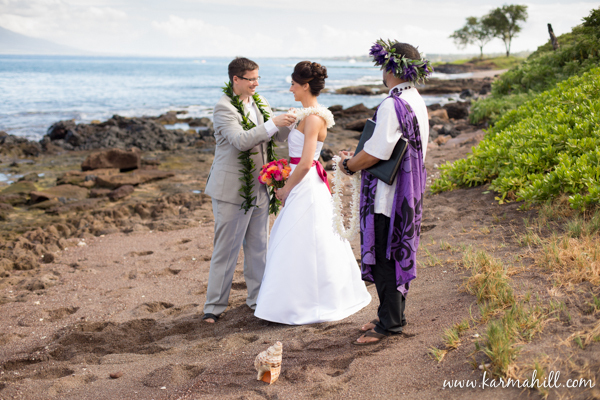 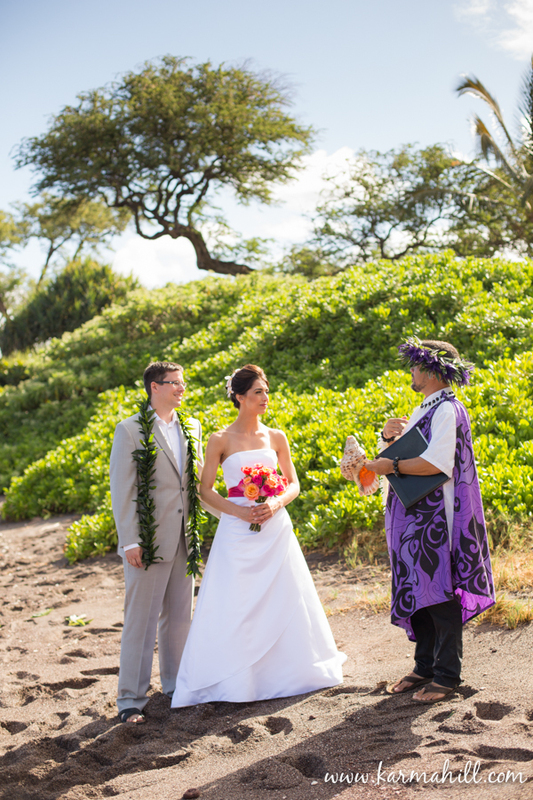 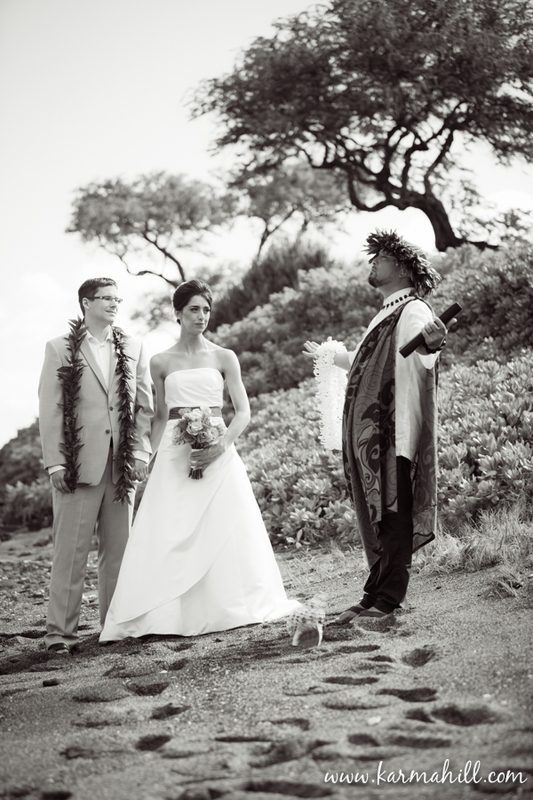 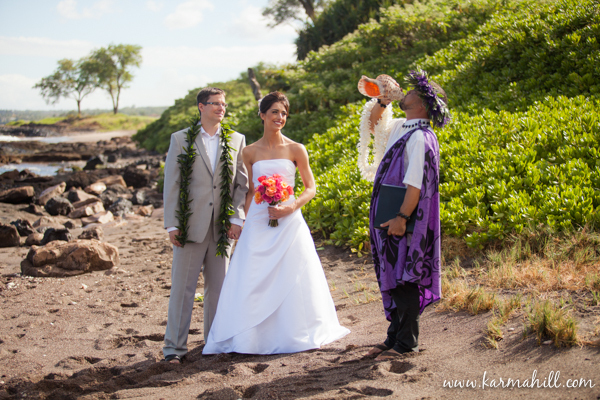 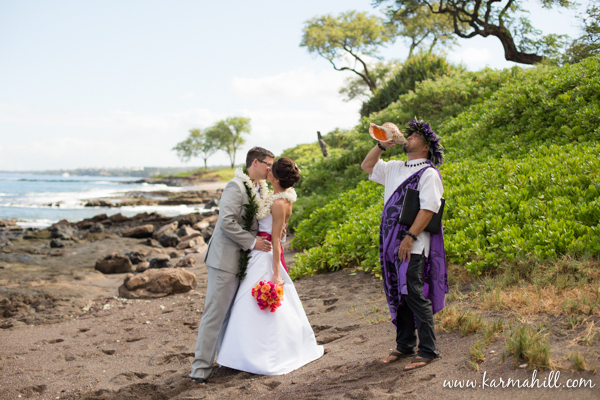 Reverend Kimo Kirkman performed a beautiful ceremony on the shores of south Maui and then kept the couple laughing and having fun after the ceremony. 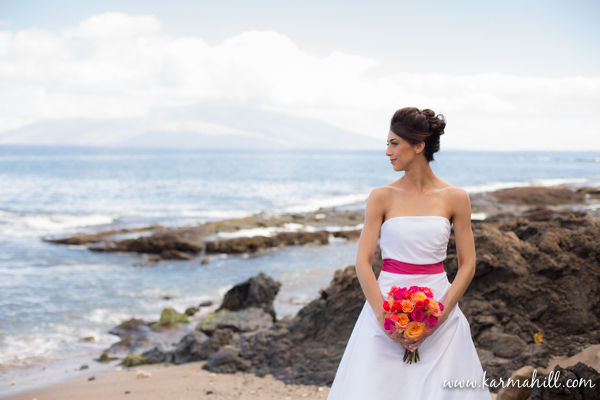 We loved the bright colors in Catherine's bouquet and sash, it was a great pop of color against the blue ocean and it suited her bright and happy personality! 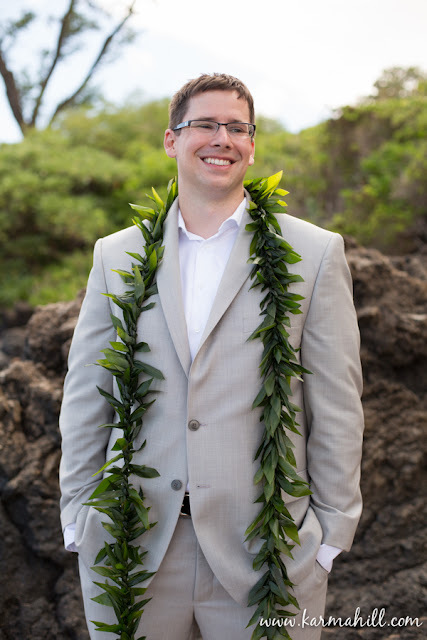 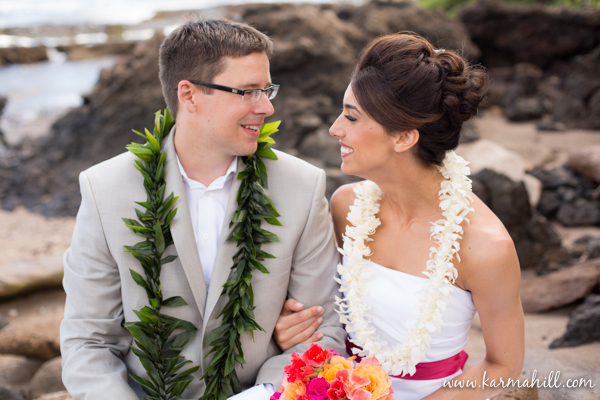 Matt looked dapper and oh so handsome in his light colored suit, which was just perfect for a Maui Beach Wedding! 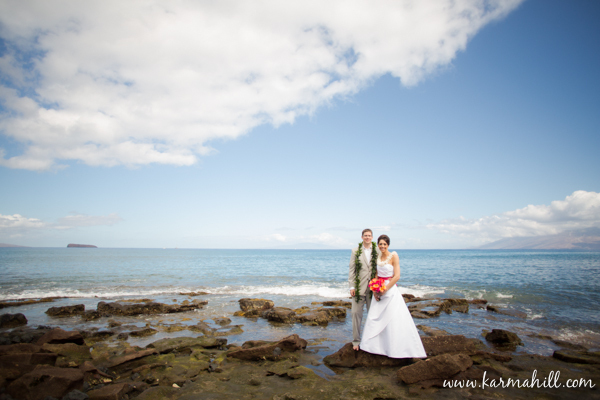 Mahalo Catherine and Matt for choosing us to be a part of your Maui Wedding, we absolutely loved spending time with you both!